Are you looking for learning resources to help your employees pass their CII exams? We help numerous businesses looking for cost-effective methods to ensure their employees have the best chance of passing their exams. Here’s what we can do for you. Do you need a quick and simple way to motivate your employees to gain help with their exams and therefore increase their chances of passing? Mostly used where employees pay for their own resources, our discount codes can be used by individuals via our online checkout. If required, we can also setup discount codes for use by company departments. All discount codes can normally be up and running within a few days. Do you need a cost-effective method of providing exam learning resources for multiple employees? Our licensing agreements allow your company to share specific resources with a set number of your employees with a substantial discount. We can discuss the exams your employees will be taking, and can recommend resources to suit your budget. Licensing agreements can normally be setup within a week. Do you have a specific requirement that may require us to tailor our resources to meet your exact needs? 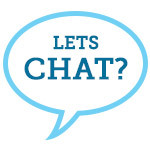 We can have a chat to discuss your requirements and then we can provide you with potential solutions which may involve tailoring our learning resources so that they meet your needs. Whether one of the above packages sounds perfect for your business or whether you need a tailored package that is just right for you, please do contact us now and we will arrange a time for a chat.